HillBots to vote for McBush? 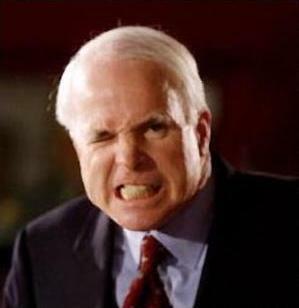 Hillary’s supporters have been clamoring that rather than vote for Barack Obama, they’ll either vote for John McCain or not vote at all. This logic makes no sense as the differences between Obama and Clinton are far less than Clinton and McCain. This begs the question: Are these people really Hillary supporters or Republican trolls passing themselves off as Hillary supporters in order to rile up the Democratic Party voters so John McBush and these horrendous policies can hang around 1600 Pennsylvania Avenue for another 4 years? If they are, in fact, HillBots, this would beg the next question: What has Barack Obama said or done (not his supporters, the media or anyone else) to cause her supporters to vote 100% against their best interests in the general election? Hillary was given every chance to win this nomination. In fact, she was the heavy favorite until the first results in Iowa were announced. The media was on the Hillary bandwagon until the people started to vote. And I have a hard time believing that HillBots are that stupid. To vote for more war, a guaranteed war in Iran, a weaker dollar, higher gas prices with no alternatives on the horizon, expanded corporate interests over individuals, no universal healthcare, more job loss, and more home foreclosures and so on because your candidate didn’t win the nomination is insane. All because of what? Because their candidate lost? So that she can come back in 2012 with an ‘I told you that I was the stronger candidate’ mantra? This logic blows my mind. How selfish and un-American are HillBots that they would put Hillary’s presidential entitlement ahead of what is best for America and Americans? It’s time for all Democrats to unite behind our presumptive nominee – Barack Obama – and put our country first. As President Bill Clinton said, “In primaries you fall in love; in general elections, you fall in line.” We must win in November. And to the Republican trolls – Stop these childish games of trying to divide the opposition party in a feeble attempt to improve your candidate’s weak chances in November. Show us why McWar is a better candidate. Use facts and logic to support your McFlip-flopper. I bet you can’t do it without the insults. This entry was posted in Election 2008, Hillary Clinton, John McCain, Politics. Bookmark the permalink. Developing countries (Third World?) like India, the Philippines and Malaysia have one thing in common: Their politics are personality-based. They all vote not on issues but on WHO is running. So, the US is going backwards with these Hillbots? I think he hates Hillary and I think he’s wrong. 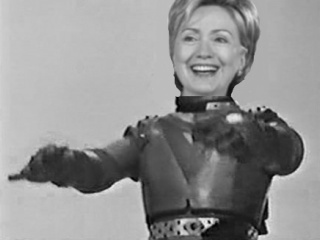 The Hillbots like Hillary not because of her personality, but because of her stated policies. Her states policies help the people who support. That is also what happens in other countries.